Last spring, my mom came to town and we were in for a treat. As she arrived, I received a shipment of live lobsters from GetMaineLobster.com. I'm not exaggerating when I say that they are the best I've ever had. We spent the night boiling lobster to make this delicious Lobster Risotto. The delicate meat melts in your mouth. In a large pan, melt 6 tablespoons of butter add 2 cups of leeks. Cook over medium heat for until tender. Add brandy and simmer. (Make sure to scrape up the brown bits). Then add in the lobster meat and cook for 2 minutes and remove from heat. Add salt to taste. In a large braiser, melt the remaining butter and olive oil over medium heat. Add fennel and saute for 5 minutes. Add the remaining leeks and cook until tender. Add the garlic, lemon zest and the rice and toast until the rice is golden and smells nutty. De-glaze with the wine. Stir the risotto occasionally with a wooden spoon as it cooks over medium heat. Continuously add ladle-fulls of stock as each previous ladle of liquid gets absorbed into the risotto. Continue stirring and adding stock for about 20-30 minutes. When the risotto gets creamy, add the cream and cook until done (should be 1-2 minutes at this point). Stir in the lobster mixture. Season with salt to taste. Serve. Preheat the oven to 400°F. Roast the shells on a baking sheet for 20 minutes. Put fennel, leeks and tomato paste in a large stock pot with olive oil and saute over medium heat for 5 minutes. Add tomato and heat for 2 minutes. Deglaze with wine. Add in lobster shells, bouquet garni and fill with water. Cover and bring to a boil. Reduce heat and simmer for 1 hour. Strain into a large bowl and refrigerate. Meiomi Chardonnay arose from generations of winemaking experience when its founder, Joseph Wagner, who began his winemaking career at the age of 19, made its first vintage in 2007, beginning with Pinot Noir. Taking its name from the word for “coast” in the language native Wappo tribe of California, Meiomi reflects the cool climate and best grapes from the three desirable winemaking counties along the Pacific coast. Meiomi Chardonnay, introduced relatively recently, bears the same elegance and balance as the Pinot Noir, largely thanks to the separate vinification of grapes from each county, which helps retain the very best characteristics of each. 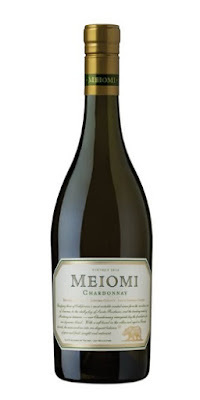 Blending them to achieve Meiomi’s hallmark rich, balanced style creates a gently-oaked Chardonnay that harmonizes creamy flavors of butterscotch and honey with vibrant citrus. Perfect with buttery lobster. All Aboard: Swedish Crayfish Safari!